Stay "pet smart" when moving - Central Maine Moving & Storage Co. The first thing to do before you move is to ensure your pet has a collar with your name and contact details on. If you want to get ahead of the game, have your new address engraved as well. This will help in case your pet decides to wander off after arriving. If you’re travelling a long distance to your new home, bear in mind that your four-legged friend may suffer from travel sickness. So depending upon the distance consult your vet if you feel your pet may need medication to make the trip easier. At this time also ensure you have updated their microchips. Before moving, decide whether you want to keep your pet with you on moving day or place them in a kennel or cattery. This will help ease the stress for you on moving day, but could add to your furry friend’s confusion. If your pet is with you on moving day, there are some measures you can take to help with a smooth transition. For example, allow your pet to travel with you in a well ventilated car, with regular breaks if it is a long journey. After arriving at your new house, it’s helpful to keep your pet in one room with doors and windows shut, unless temperature is an issue. For cats, this helps them become accustomed to their new territory. For dogs, this helps keep them secure and away from the moving commotion. Let them sniff out the new surroundings before you leave them unattended. Let the moving crew know which room your pet is in and ensure this room holds their food bowl and a bowl of water. It’s also helpful to bring any familiar toys or bedding into this room. Also assign a family member to regularly check up on your pet, feed them and keep them company to distract them from the hectic home-moving. Once the majority of the moving has been done and the movers have have left, allow your pet to gradually explore the house. When walking your dog for the first week or so, use a leash to prevent your pup from running off. During this period, keep your pet around familiar items and smells, especially if your at work or if you’re not around, this will help them feel more secure. Also, if possible try to get back to your usual routine, keeping to regular feeding times will provide consistency for your pet. 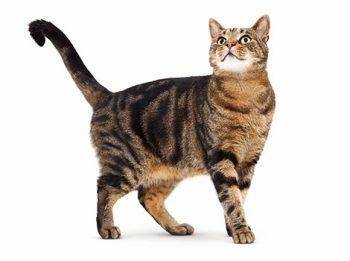 With cats, it’s advised to keep them indoors for around a week after the move to get used to the new property, before letting them out to explore the outside areas. After this, introduce your cat to the outdoors gradually by opening the door and going outside together. Prior to this, ensure your garden is completely secure with fencing to prevent your pet wandering off and getting lost. A final tip is to keep your pet company, giving them lots of TLC and attention, so they can relax as soon as possible.